A Holiday Harvest Sale November 4 and 5 Click here for directions. For over 10 years, Sweet Pea Studio, located in Sawyer, Michigan has been providing unique, custom hand painted furniture and other home decor items for satisfied customers through-out the Midwest. You will find that our furniture is especially well suited to cottages and second homes. Sweet Pea Studio hosts furniture shows several times per year. For a list of upcoming events, click here. If you'd like to be on our mailing list for upcoming shows and to receive a product catalog, please fill out an info request form by clicking here. Sweet Pea provides unique stock and custom painted tin tiles and other home decorating accessories. 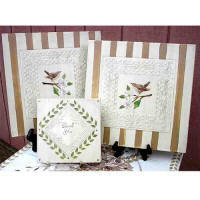 These items are available for homeowners and at wholesale prices for any decorating related business. New themed tile designs are being added all the time. Please check back frequently. You can browse our retail Tin Tile Collection here. For more information, please do not hesitate to send us email at mimi@sweetpeastudios.net or give us a call at 1 (269) 469-426-4359. 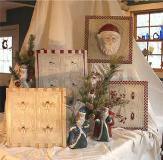 It’s time to get your home ready for the holidays with the most unique items you can find in all the Harbor Country. 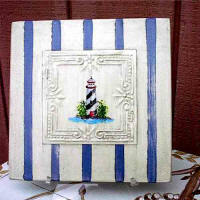 Hand painted furniture will brighten up your home for your family and those holiday visitors. 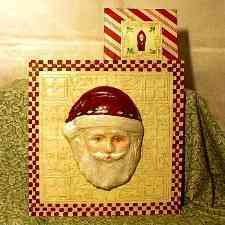 Hand made holiday decorations will warm up any room. Don’t miss it. Items are limited! All new and unique pieces of hand painted furniture and wall art for your home. We are open on weekends or call (269) 426-4359 for an appointment. For directions to our showroom, click here.